Rain couldn’t dampen a weekend of celebrations but the senseless loss of another of Bermuda’s young men has. Cricket and football star Fiqre Crockwell was shot dead early this morning on Woodlands Road while another man was stabbed and taken to King Edward VII Hospital for treatment. 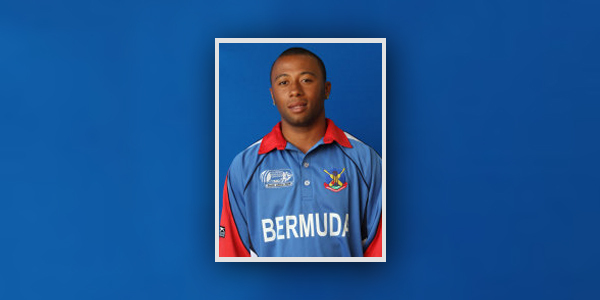 Mr. Crockwell represented Bermuda internationally in cricket and had an average of 34 in his brief One Day International career. The wicketkeeper was also a regular on the St. George’s Cup Match teams. He debuted for the Blue and Blue in 2008 and played on last year’s team. Neil Paynter, president of St. George’s Cricket Club was stunned to learn the news this morning. “It’s sad. A young person’s life has been taken too soon,” he said. “People are just in shock. “I just feel for his family,” added Mr Paynter. Stefan Kelly, who is based in the UK, was both a schoolmate of Mr. Crockwell at St. David’s Primary and a Cup Match teammate. The news of Mr. Crockwell’s shooting was breaking as Mr. Kelly was getting up this morning. “It was disbelief,” he said. “I thought I was still asleep in a dream world thinking there was no way this could be happening to him, of all people. Mr. Kelly said Mr. Crockwell’s contributions to sport will be greatly missed. “He was one of those guys you always knew what you were getting. He was a reliable and dependable player which is reflected in why he would get selected for the national squad as well as for St. George’s. “We extend our sympathies and condolences to the family and friends at this difficult time,” the BCB said.